A Romantic Date in Essex shouldn’t consist of the same old restaurants and drinking holes. After a while, these sort of environments may become extremely dull. What else can you do there asides from eating, drinking and talking? A stereotypical date does not tend to be that memorable. If you truly want to stand out from just the simple wining and dining experience, why not arrange a romantic rendezvous at some of the obscurer cultural treasures of the area. Essex is the perfect dating playground, you just need to go out and find the best venue that suits your amorous escapades. Here are some of the most curious cultural spots that are perfect for a unique dating experience. If you are looking for an excuse to take your date on a romantic walk around Essex, the last thing you want to do is just randomly walk through alleyways or get lost around the town. Instead, you want to have a purpose for getting out and enjoying a sunny day outside. Whether you want to take out a long-term partner or just indulge in booking escorts in Essex, why not try to uncover the “Gants” of Braintree? If you are a fan of danger and have an interest in medieval history, then you and your date just have to visit the Broomway. You may not think that there is much medieval history remains in Essex, but that is certainly not the case once the tide goes out. This area is certainly not for the faint of heart, for even the island the BroomWay circles around is known as “Foulness Island”. Even if you go out on the Black Ground when it is safe, you have to be wary of mud puddles, quicksand and even the occasional hidden mine that may explode if they are touched. The misty weather can also be extremely disorientating, meaning that it can be easy to lose the path back to land. This is why the pathway has been highlighted by a bundle of broomsticks that are tied to poles. If you do become lost in the mist, then you will be able to see them and return to safety. This is where the name “Broomway” comes from, though it has also been known as “Doomway” due to the death rates on its path. With that warning in mind, and you are not too intimidated by the area’s history, why not take your date out on one of the guided tours around the island? These tours have been designed to go out when the weather and tides are at their best. That means that you will be safe to indulge in the beauty of the environment. Tourists adore being able to take off their shoes and walk around the mud barefoot. The silence and isolation is something that will allow you and your date the opportunity to indulge in true tranquillity. Just be careful not to get separated from your tour group as you enjoy the moment. 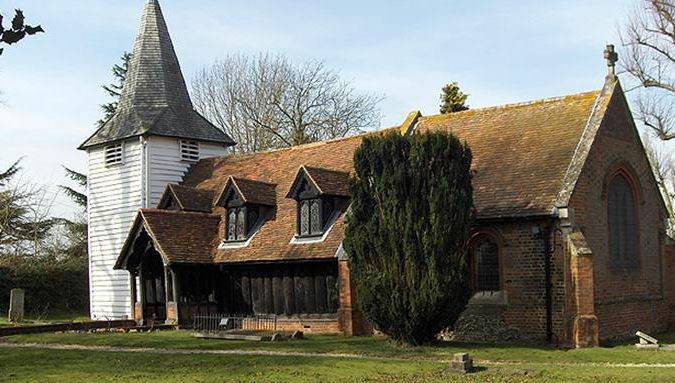 For those who love being able to indulge in history, but are not a fan of dangerous environments, why not indulge in the peace and quiet of the Greensted church alongside your date? It is the perfect place to get away from the world and visit one of the oldest wooden churches in the world. It is believed that this church was constructed during the 9th century during the conversion from Saxon Beliefs to Christianity. Whilst not all of the church remains intact, it is still a marvel to behold. It is now an amalgamation of wood-work, American Gothic-Styles and Victorian Brickwork. But the oldest part of the church is the stylised Nordic porch design. Take your time when exploring this church. For you can go inside and observe the interior, but you are welcome to settle around the area and take in the beauty of nature. It is the perfect place to indulge in a romantic picnic and simply relax and get to know each other. If you are the sort of couple that love indulging in a glass of bubbly every once in a while, then the perfect dating environment would be at a bar. However, instead of going to a normal bar with a large menu, why not go to the Angels Wine Tower? This is the first ever wine tower in all of Europe and provides its clients with a truly unique experience during their night out. The Wine Tower has over 4,000 bottles of wine in a large glass case for you to choose from. Should you decide to pick a bottle of wine that is high up, the bar staff, also known as “Bar Angels”, will fly into the air in order to gather your chosen drinks. You will feel like you are indulging in a show as well as a drink. It is the perfect entertainment for both you and your date. If you just want to take your date out on a simple dinner in Essex, that is entirely your own perogative, but if you truly want to light a spark under both of you, then you need to think of fun and inventive ways to make your date truly unique. Don’t just go with the crowd and get stuck in an overcrowded restaurant. Think outside of the box and you and your date will be entertained for hours. You can save a small coffee shop date for later when you have less time to see each other. For now, you are an adventurer and the entirety of Essex is your romantic map. Have fun on your date!